This UFDC Region 15 event theme was "Little Women" and was held at the Sheraton Framingham Hotel & Conference Center, located at 1657 Worcester Rd, Framingham, MA 01701. Our souvenir artist was the beloved felt and ball jointed doll master Maggie Iacono! Full Registration: $349 for UFDC members and $375 for non UFDC members. Limited Registration: $200 for UFDC members and $225 for non UFDC members $225. There was a cancellation fee of $30. All cancellations must be in writing. No refunds were given after March 1, 2017. The special hotel rate for this event was $129/night (one to four people in a room). This rate was for the conference nights, plus 3 nights before and after. The hotel guaranteed that our rate would be the lowest that will be offered. Click here for a downloadable version of the 2017 Boston Area Regional Conference registration form. Please click here for our helper form. Click here for information on the pre-conference bus trip to Concord, MA on held on Thursday, May 4, 2017. Click here for information on the post-conference bus trip to Boston, MA held on Sunday, May 7, 2017. Description: Students will dress this 5-1/2", glass eyed, all porcelain Kestner. She is wearing a silk taffeta dress accented with cotton laces and silk ribbon. Her shoes and bonnet are made with the same fabric as her dress. Instructor to provide: Doll, fabrics, laces, ribbon, and wig. Students to bring: Tweezers, small sharp scissors, tacky glue, ercu thread, needle, and tooth picks. 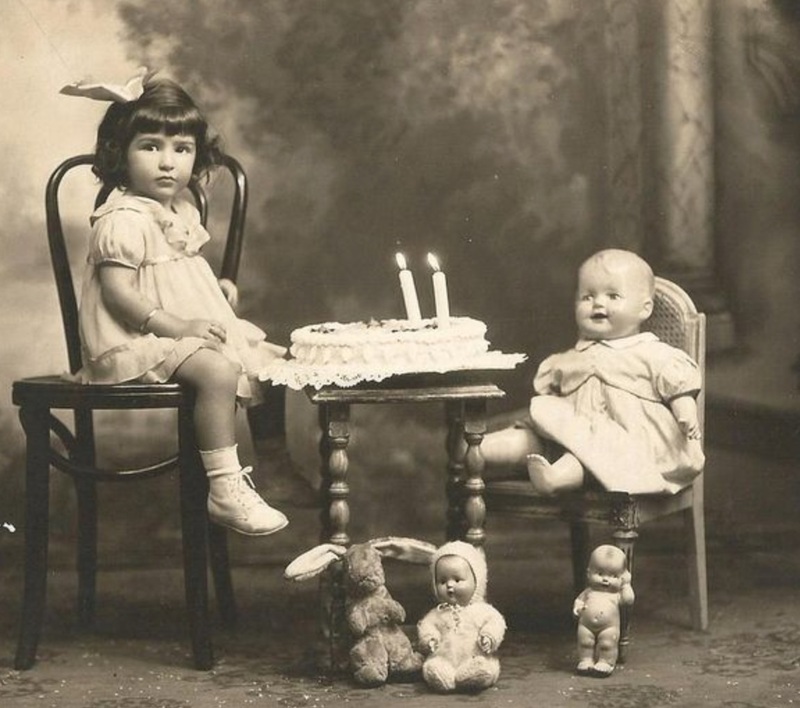 Please note: Doll and outfit may vary slightly depending on material availability. 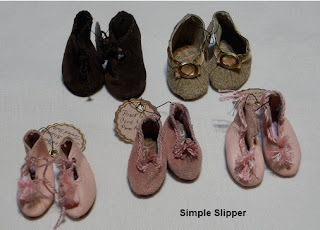 Description: Students will make a miniature sewing kit suitable for a 10" to 16" doll. The kit will include precut pieces ready to assemble using glue and a needle and thread. Three style choices will be available. Instructor to provide: Complete kit. Students to bring: Small sharp scissors. Please note: Kit may vary slightly depending on material availability. Description: Students will learn wet-felting to create two hats. 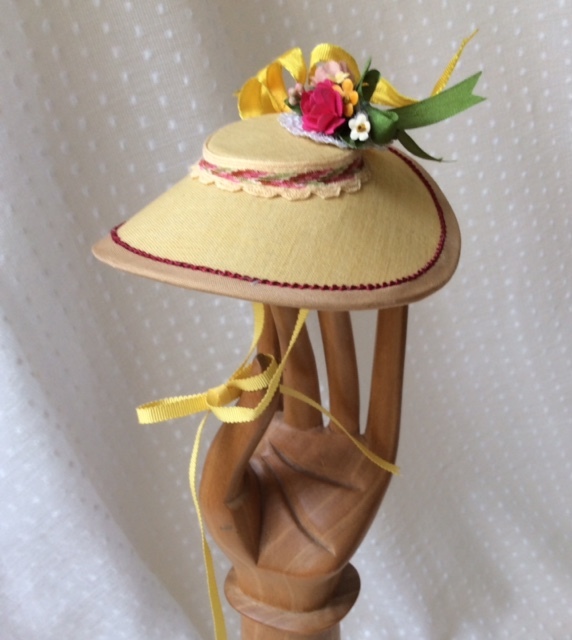 The Derby style period hat fits Emma Jean or similar dolls and French fashion dolls. The beret style fits 14" Betsy McCall and Bleuette. Students will take home damp hats, with pictures and instructions on how to trim their hats. Instructor to provide: Complete, reusuable kit. Description: Students will complete Mary's beautiful dress designed by Rosemarie Ionker. It will fit a 10" doll. Instructor to provide: All materials. Students to bring: A sewing kit, including small sharp scissors. Please note: Final appearance and fabric selections may vary depending on material availability. Description: Students will create a wide brimmed round English style shepardess hat. Students will learn new decorating techniques and will complete a hat that will fit many dolls. Description: Students will make one pair of shoes or boots during the workshop. An assortment of various colored leather shoe/boot kits will be available in the workshop for the student’s selection. The cost of the seminar is for a simple slipper. In class, the students may choose to make a more difficult leather shoe (additional $5 paid to the instructor during the class) or a complex boot with multiple seams, handmade laces, buckle trim and tooled leather soles (additional $12.50 paid to the instructor during the class). Please click here for more details and photos. Instructor to provide: Presewn leather and materials. Students to bring: Scissors, tweezers, assorted needles and a thimble. Cost: $37.50 for simple slipper; as noted for more complex footwear. Description: Samy Odin will introduce students to the dolls of François Gaultier, one of the leading porcelain factories in the Paris area during the second half of the 19th century. He provided porcelain and bisque parts to a great variety of French doll companies at the time, including Thuillier, Rabery & Delphieu, Pannier, Falck & Roussel, Henri Delcroix, Gesland, and many more. Students to bring: A porcelain doll for the identification portion of the seminar if desired. Description: Students will explore the topic of drafting doll clothes patterns and all that this involves. Students will make a basic pattern, then learn how to customize it by changing sleeves, necklines, skirt shapes, and moving darts. Students to bring: A doll between 10"-18", tape, scissors, measuring tape, and a pencil. Description: Starting with the early molded hair bisque heads, students will be guided through how to recognize true Parian-type bisque heads. Then, we'll continue on to the latter pink tinted molded hair dolls winding up with the later so-called stone bisque heads. 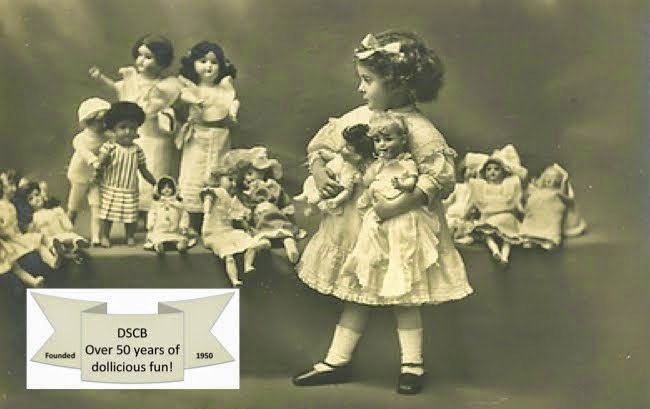 Description: This DDD will teach students how to use their iPads most effectively to photograph their dolls for archival, sharing, and research purposes. Photo editing and photo effects will be discussed as well, including the most important and helpful "apps" available online. Description: This DDD will cover the design and manufacturing details behind a number of lovely and elaborate hat styles worn in the 1860's time period. Description: This DDD will discuss all things related to Mary Hoyer dolls. The instructor is a close friend of Mary Hoyer's grand daughter, which will bring a unique perspective to the conversation. Description: This DDD will cover the history and design evolution behind Steiff's miniature dogs, cats, and other pint-size animals that are often displayed with dolls. Tips for identifying the age, condition, and value of vintage Steiff will be provided. Participants are encouraged to bring along examples for review and discussion.